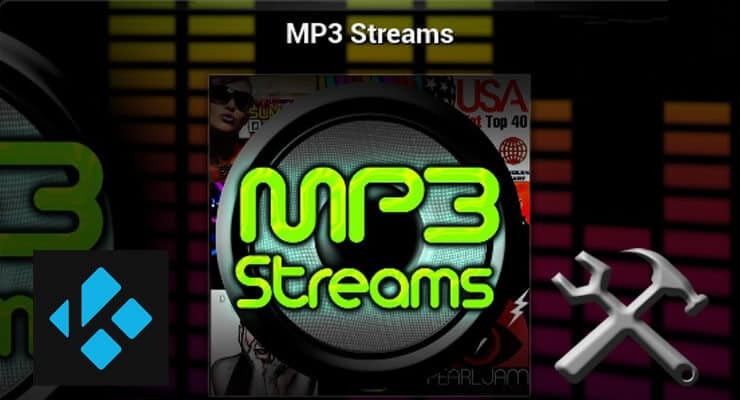 With MP3 Streams you will be able to listen to almost any album or song you want, thanks to its highly organized content. 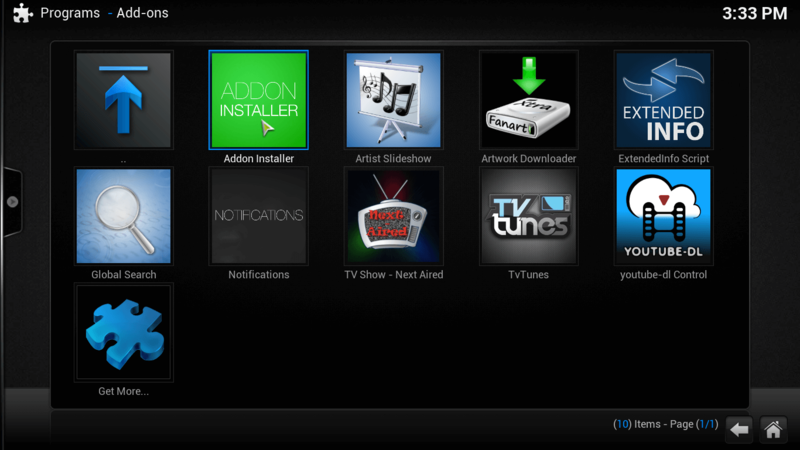 It's not just the content that MP3 Streams addon Kodi offers, but also the organized way in which it is presented. 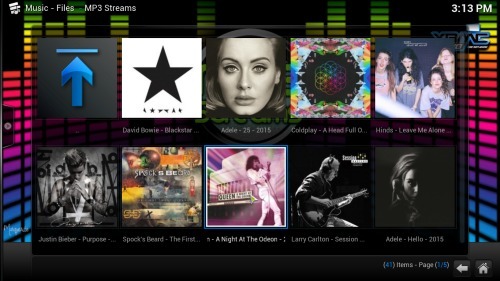 The MP3 streams addon Kodi lets you install on your HTPC, allows you to browse a lot of lists. These lists are categorized by genre, artists, top albums and new albums, among other ways in which you can go through the content. 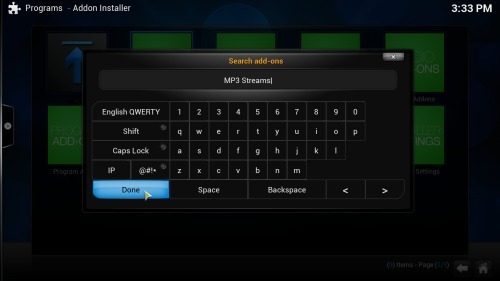 There is also a search feature, which you would be better off using by adding a wireless HTPC keyboard to your setup. You can also use a remote app for smartphones that includes a virtual keyboard, such as Yatse, the XBMC / Kodi remote. How to install Kodi MP3 Streams? This addon gives Kodi MP3 stream capabilities to get any song you want, and can be installed by using the Fusion Installer. If you don't have the Fusion Installer yet, I recommend you take a look at our guide to install Fusion installer on Kodi. If you already have it, or just installed it, then head to Programs -> Program Add-ons and click on Addon Installer. Use Addon Installer (also known as Fusion Installer) to get MP3 Streams on your Kodi HTPC. After you do this, you will use Addon Installer to download MP3 Streams addon. In this case, click on Search by: Addon/Author, and then type MP3 Streams on the dialog that appears. Click Done after you finish typing. Type “MP3 Streams” in the dialog that appears, and then click done. This will find the MP3 Streams plugin for you on Fusion installer. You will get a menu with the search results. 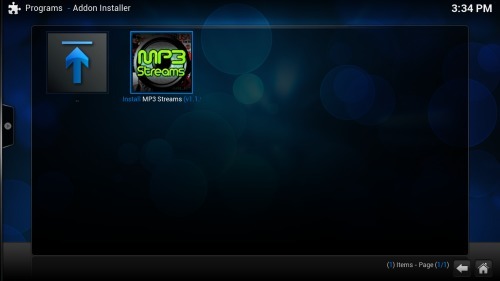 Click on MP3 Streams, and then click on Install MP3 Streams to install Kodi Mp3 Streams on your HTPC. Once you click it, you will get a confirmation dialog. There will be a button to Install and a button to Cancel the installation. Select Install. Click on the icon (or list item, depending on the visualization you use) to install the MP3 Streams plugin. After a few moments, the Fusion Installer will notify you that your addon has been successfully added to Kodi. Congratulations! Now you can browse all the songs in any way you like and get even more entertainment out of your HTPC. To use this addon, head to Music -> Add-ons from the main menu, and then click MP3 Streams. If you want other Kodi free streams addon, consider streaming live TV by using one of the 10 best live TV addons for Kodi, or if you want a broader look at more addon options regardless of their main features, take a look at this list with the 20 best Kodi addons. All of these complements will help you bring even more entertainment options to your HTPC.